178 spacious rooms, many with unrivalled river views making it the perfect place to stay. Evolution Apartments offer business and leisure travellers modern and spacious rooms that provide all the convenience of a home away from home. The rooms are comfortable and modern, and also allow for the convenience of kitchen, bathroom and laundry facilities. This is all complemented by a separate lounge/dining area that opens onto a undercover balcony giving a sense of space to travellers so that they may take a step back and relax. 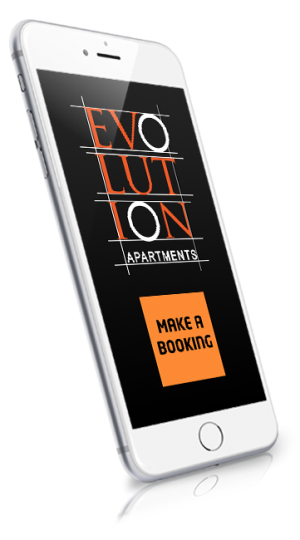 Evolution Apartments is a 36 storey apartment hotel comprising 178 spacious guestrooms ideally located in the Brisbane CBD. Located along the Brisbane River in the North Quay precinct of the Brisbane CBD many of the apartments at the property have unrivalled views down the Brisbane River making the building one of the most enviable places to stay. Situated in the heart of Brisbane’s CBD, and just a short stroll across the Kurilpa Bridge, to GOMA and Southbank, Evolution Apartments is the perfect place to stay. Have any questions or comments on our Hotel? 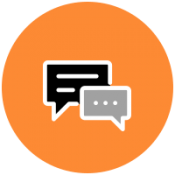 Let us know and we will be happy to help.